Popovers are quite simply the easiest but most delightful breakfast item. If you’re not familiar, popovers are these big, hollow rolls prepared with a batter similar to Yorkshire pudding. I am much more of a savory lady myself, so I love to serve popovers with lots of salt and butter to accompany a steak. 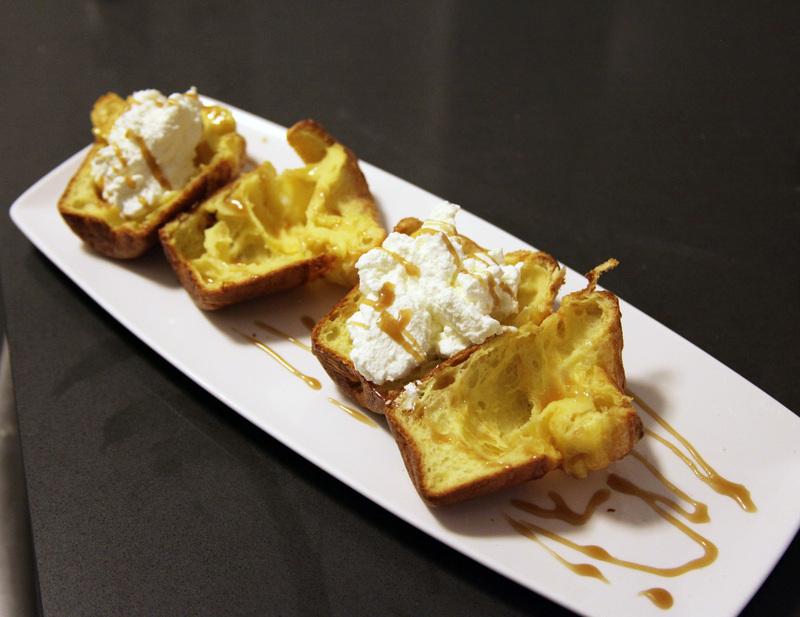 You can also serve popovers as a light dessert with anything like whipped cream, berries and caramel sauce. This easy popovers recipe can be made using either a popover pan or a muffin pan. The trick I have found making these is simply temperature control–always keep you milk and eggs at room temperature and you’ll crush it. Pop culture trivia hour because blog theme: Once Dr. Seuss was asked to give a commencement speech at Lake Forest College and accepted the opportunity thinking he was solely winning an award. He backed out but still agreed to accept the award onstage, only to whip out this improvised poem last minute that uses popovers as a metaphor. Straight up–even Dr. Seuss was subconsciously consumed by popovers. But also a total G because the poem is a metaphor about how bad most commencement speeches are. Learn how to make 15-minute English popovers with this easy popovers recipe instructions. Spray popover pan or muffin pan with non stick spray, butter or oil. Pour egg batter into each tin cup until about half full. Bake tin in oven at 450 degrees F for 15 minutes. Without removing the tin from the over, lower the temperature to 350 degrees F and bake for an additional 20 minutes. After 35 minutes total, remove tin from oven and insert a knife to create a slit in each popover. This allows the hot air to escape and keeps the popovers from collapsing. Eat whole or cut in half and add salt, caramel, whipped cream, etc.